This odd looking puzzle is a QR (Quick Response) Code. 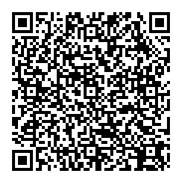 With a reader (see below) you can scan the code with your cell phone. In this case the QR Code contains my contact information, but codes can be configured for URL’s, hyperlinks or alphanumeric information. Why is this of interest? It allows marketers to tie print (magazine ads, direct mail, brochures), billboards, video, storefront (with a label), and packaging together with the internet and the onslaught of mobile phone use. I will confess that, as a printer, the prospect of widespread use of QR Codes is exciting because they allow print to be directly and easily integrated with marketing on the web. Free QR Code readers are available for every cell phone that has a camera. They are easy to find and download and simple to use. Popular readers include Kaywa, BeeTagg, and zxing. If you want to create a QR Code there are a number of free code generators. Just search for QR Code generators.